Looks like Botcon was not the only show Hasbro was involved in this weekend. 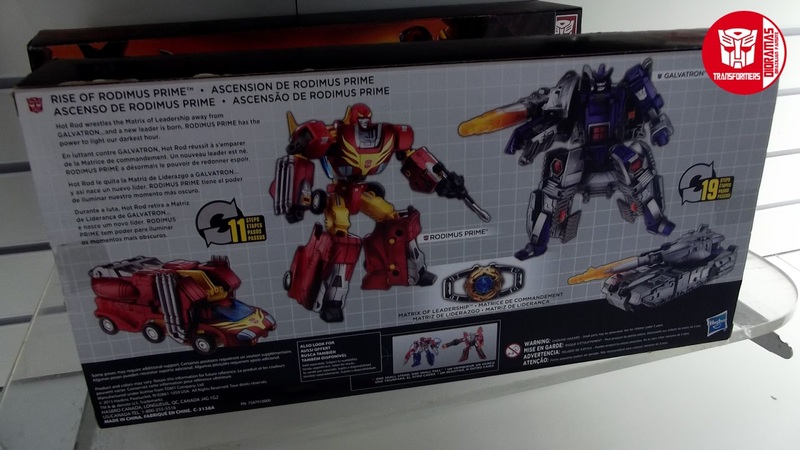 Coming in from the Brazil Toy Fair we get our first look and the Rise of Rodimus Prime Platinum Edition set which was first rumored back in February. This set includes a redeco of the Titanium Rodimus Prime mold as well as Universe 2.0 Galvatron. Last but not least, we also get a Matrix of Leadership included in the set. No word on the materials used for Rodimus but be sure discuss your thoughts in the discussion! Thanks to Transformers Dioramas for sharing the news. There was no need to bump this thread to ask that question. I did. Only because I bought the other 1986 Platinum sets. Did anyone actually buy this? Agreed. I'd want a Leader-class version, though. I was wondering about the theme for the next toyline. 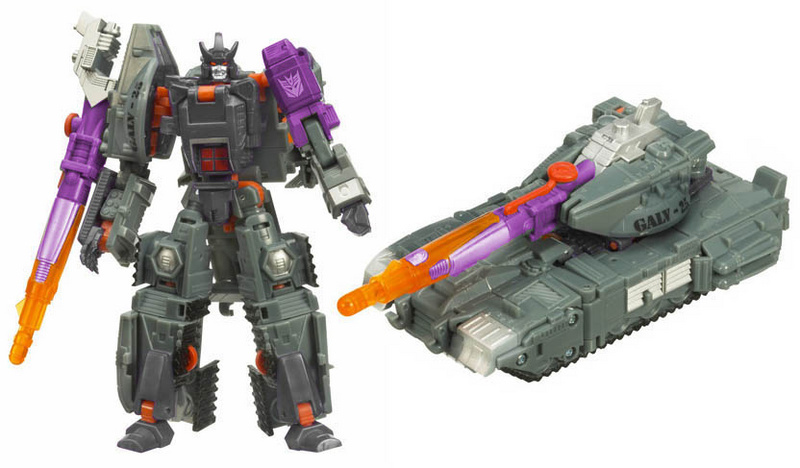 The rumoured Overlord looks to be a Duocon – a tank and jet that combines together, so I wonder if they would approach a potential Rodimus in a similar manner – both sections of the winnebago combining into Rodimus like the Titanium figure. They could probably throw in a base mode as well. The 'Rise of Rodimus' theme of the set does seem to suggest that Hasbro haven't forgotten Hot Rod's other self, so just maybe we could be getting a new version of Galvatron' nemesis. I would want a Leader-Class Rodimus too. But until then, I'd be good with Cloud Rodimus. Poor Titanium Rodimus…you got the touch, as in any time someone touches you, you collapse because none of your damn tabs or joints hold together. A 2 pack of Voyager Galvatron and the old Energon Rodimus mold would have worked also. I'd be all over that. I skipped the Energon TRU set back in the day in favor of the larger Galvatron toy and kinda wish I'd gone with the smaller toy. Would you say it's…bad comedy? Its so funny that theres a matrix with this set and rodimus cant even hold it! Thats comedy gold! 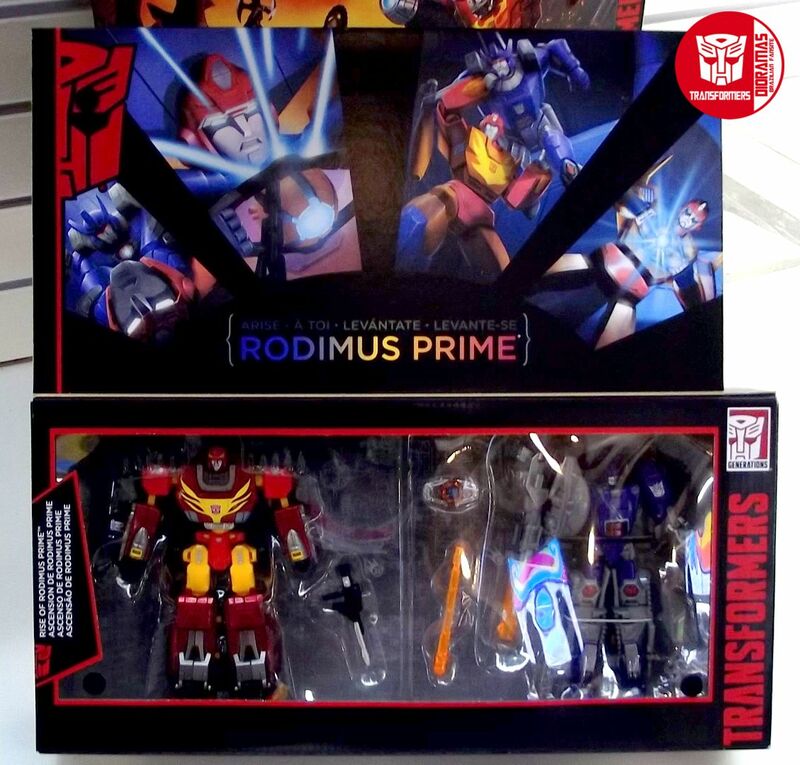 Based on the pre-order price, you can get the original Titanium Rodimus and the RtS Battle in Space set (which has the same Matrix but has Classics Rodimus – still can't hold it – and the Universe 2.0 Cyclonus in cartoon correct colors AND a painted targetmaster) shipped for less than the platnium set. That will actually get you Cyclonus, not Galvatron. (Of course, Cyclonus is a better toy, and has a Targetmaster… wait, what was I talking about? ) But your point stands. 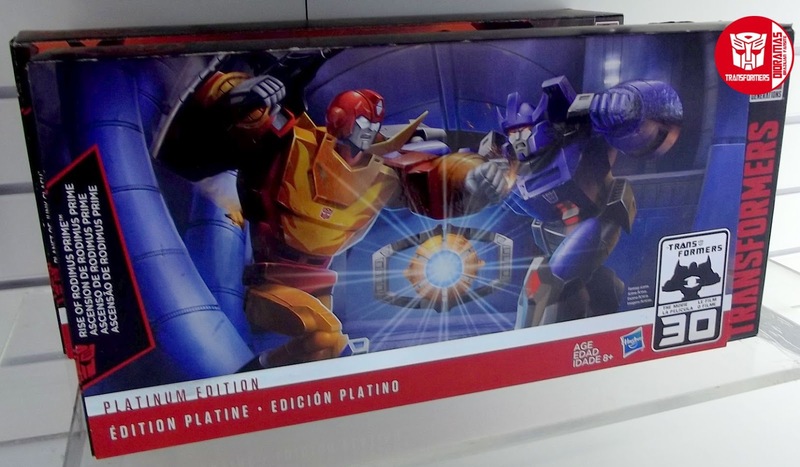 If you look around for a deal on Ebay, or visit the BST forums here, you could get Titanium Rodimus and a Galvatron (either Hasbro or Takara) for somewhere in the $50 range pretty easy. Cheaper if you wait for a deal. So this set, even when the price drops as it hits the US, may not be a good deal for these particular figures. Perhaps I might sway another supporter to my "next theme's gonna be Duocons" theory? I thought that might be the case, but potential Duocon TFs are limited compared to Headmasters and Combiners. Right now, I suspect the next toyline's theme could be beasts, with some exceptions (I'm hoping Hastak will release Leader-class Star Saber along with Deathsaurus). I could see them doing Rodimus Prime that way though. On the other hand with G2 Prime being an all in one and Magnus having also been an all in one they might want to make Rodimus Prime an all in one as well. We need a new Rodimus Prime. He would be a Voyager. Hot Rod would probably be a Deluxe though. Which is why most KOs get called 'Deformation' figures. "ABS" is referring to it being made of plastic. "Deformation Robot" means it transforming robot, as the words morph, transform and deform in Chinese are often mixed up in translation, and end up getting swapped around when translating back to English form a Chinese site. I kind of like it and am very curious, I'm seriously thinking of it just need to see the price. Besides, who else will I use as Rodimus Prime till Hasbro makes a new one? I own the BiS set and…to be frank the Matrix even if it was painted like the platnium version just kind of feels useless as it was designed to work only with G1 Prime's chest. I'm sure something jury rigged with paperclips could work as a stop-gap solution but it is not worth spending more than $5 on in terms of valuing it. You know, I don't own any version of that mold, but I'm pretty sure the turret isn't supposed to look like that.